It's Facebook Fridays! for May 8, 2015, Spring has sprung and love is in the air! 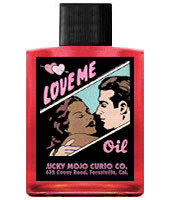 The Lucky Mojo Curio Co. is hosting a random drawing to give away 3 delectable Love Me Spiritual Supply prizes. 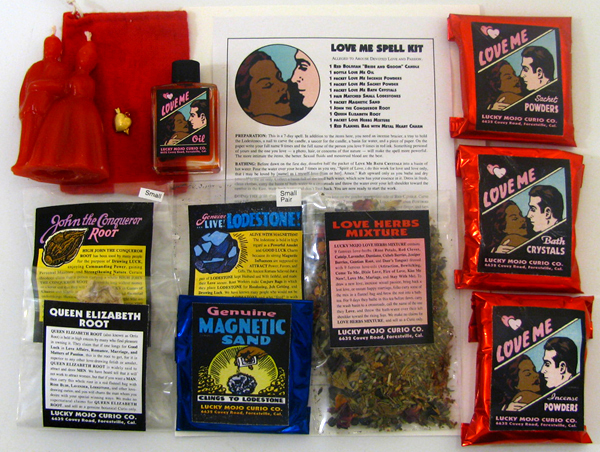 This week the prizes are a Love Me Spell Kit, complete with all ingredients and instructions; a bottle of Love Me Dressing Oil; and a packet of delightful smelling Love Me Incense Powders. First thing tomorrow morning, we will select THREE winners at random, announce their names here, and ask them to message this Facebook Page with their mailing addresses, so we can send them their FREE Love Me products. We have a winner! In fact, we have 3 lucky winners! Our Facebook Fridays! winners for December 13, 2013 are: Marisol Rubero, Rosetta Magdalen, and Ahdia Browne.